Save Time and Money by installing Synthetic Grass | Turf Etc. Synthetic grass in Kansas City looks and feels like traditional grass, but did you know there are real benefits to replacing your lawn with artificial turf? Not only will you be saving money, but you will get back precious time that was once spent on things like extensive watering and expensive landscaping. Kansas City-area homeowners are making the switch to artificial turf to regain their weekends. Real lawns use a lot of water and it can take time to plan your watering schedule, especially if you don’t have in-ground sprinklers. Every week, a lawn about 1,000 square feet can take about 620 gallons of water. 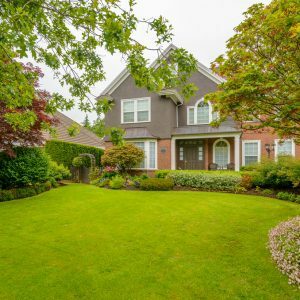 For homes without automatic sprinklers, that means spending hours monitoring how much water is going into your lawn and remembering to move the hose or risk oversaturating plants. The only water required for your artificial turf is the occasional spraying to clean. With installation of synthetic grass, you can save up to 70% on water costs. When you think about how you’ll spend your weekend, do you typically factor in time for landscaping and lawn maintenance? Most families do. That means what little time you have during the weekend is spent mowing, fertilizing and trimming edges of your lawn. Tedious jobs like pulling weeds and raking debris out of long grass take even more time. When you make the switch to synthetic grass for your Kansas City home, you will regain all of that time because the maintenance of synthetic grass is as easy as it gets. We recommend cleaning the turf seasonally, and a light brushing or spraying with the hose once a month. Now you will spend mere minutes on your lawn compared to hours every weekend. Homeowners living in tight spaces and families that enjoy spending time outside know how important it is to have plenty of usable space. Because synthetic grass never varies in color, and never needs to be tended to, you and your family, and even pets, can get more use out of your home and outdoor spaces. Increase your usable living space by installing synthetic grass to make the most of your home. Because you won’t have to spend any time maintaining these areas, you can devote time to entertaining family and friends, or playing with your children and pets. Regain your weekends by installing synthetic grass at you Kansas City Home. Gone are the days of spending hours every week mowing, watering and fertilizing. Synthetic grass is popular among homeowners due to the fact that it requires such little maintenance and care. For your free consultation, contact SYNLawn Kanas City today.